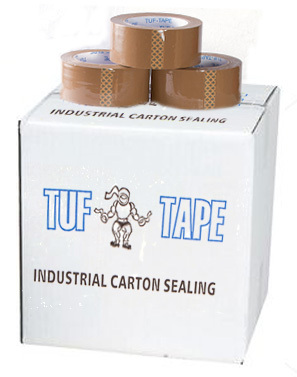 Find The Most Affordable Carton Sealing Tape Available Here! Can’t seem to find a reliable source of high quality carton sealing tape? Look no further! With 50 years of packaging expertise under our belt, we are sure to meet our customer’s needs! We offer a line of pressure-sensitive carton-sealing tape with various adhesive technologies at very competitive prices. Shop online for your entire box sealing tape requirements with just a click of the mouse. We maintain an extensive inventory so your order is available for immediate shipping. Pressure Sensitive Tape – Available in clear and tan, servicing the manufacturing, packaging and moving industries. It is easy to use and very pliable, making it effortless to tape up a box! This tape is one of the most durable tapes in the market. 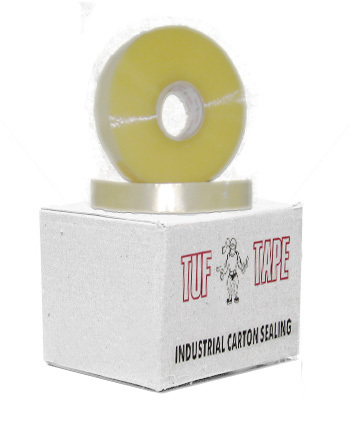 Tuf-Tape – This tape uses a special adhesive, which is excellent for keeping important packages tightly sealed. We have heard of so many shipping mishaps because boxes fell apart due to a weak adhesive. You will not face such problems with this product. No longer available -- No Noise Tape – Some brands of tape have a loud irritating sound when you dispense it. With our No Noise Tape, there is a greatly reduced noise when unwinding. This tape is great for busy or confined packaging areas where constant noise can be stressful or distracting. Machine Length – Lastly, one of our specialties, our machine length tape is ideal for large packaging applications, on automatic equipment. 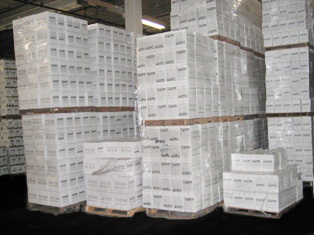 World Packaging supplies both plain and custom printed tape, printed in house. World Packaging is a manufacturer and importer of high quality packaging, shipping and janitorial products. We offer very competitive prices for our products and make sure that any order made before 4 PM will ship out the following day. Most of the items will be shipped within 24 hours using UPS or Common Carrier. If you can’t find what you are looking for, call us at 201.997.3940 or Fax:201.997.3944. Make your order today. If you can’t find what you are looking for, call us at 201.997.3940 or Fax: 201.997.3944 and we will get what you need.